It's been raining all day today and, while I've thought about many things, I find myself thinking about my big brothers and how blessed I am to have had their love and support throughout my entire life. In fact, they've been there for me since the day I was born. 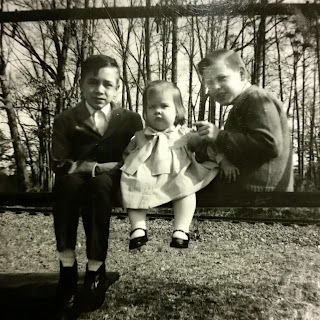 As long as I have lived (which is almost fifty years now, folks), I have never heard my brothers speak ill of each other. The two of them are as different as they are alike and, while they may not agree on all things, I've never heard the other one say something malicious or mean about the other. Do they tease each other? Pick on each other? Oh, absolutely, without mercy - at times - when they were younger, but that isn't the same thing. When you openly talk and joke about your strengths and weaknesses with your siblings (like the fact that we ALL talk too much, but each claims it's the others who talk more than they do), it isn't the same thing as saying something hurtful or unkind. Today, I've given my relationship with them more thought and reflection than usual. While I don't see my brothers often anymore, each of us lives in a different state now, I recently had a chance to spend some time with one of them. I suppose that's what prompted my line of thinking today. I actually tried to remember something one of my brothers might have said to me, at any age or stage in our lives, about the other that I would consider hateful or mean-spirited. I could not think of a single example. What a gift that is, what a blessing! 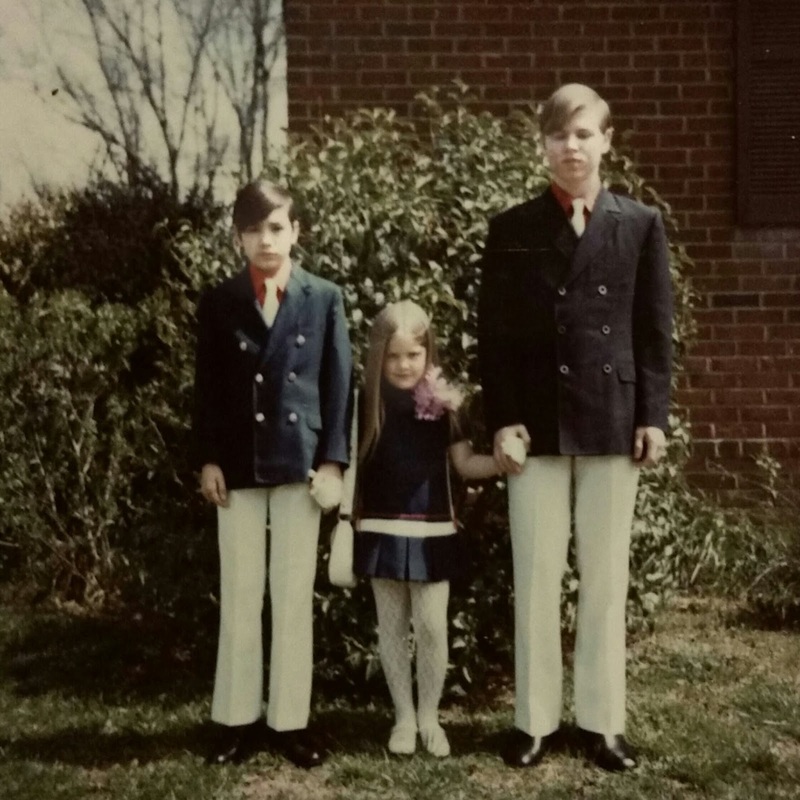 I wish I could say that what I learned from my own siblings is mirrored in other siblings throughout my family, including my own three daughters, but too often "sibling rivalry" is accepted as something that should be there. I disagree. 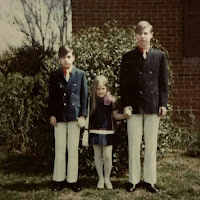 Because of my experience with my brothers, I am always greatly disappointed when other siblings don't get along or aren't honest about their relationships with each other. I'd like to tell them all what I tell my own daughters and have told them their whole lives. So, here is one version of a little "speech" my own girls have heard, at one time or another...or many, when they were too hard on each other or disagreed about something when they were growing up. Moms and dads will become feeble and pass away someday, your siblings are your bond, your back-up, the people who should be there for you no matter what. And, you know what? Parents may screw-up, they aren't always right, they are human. They mess up. But siblings? Siblings need to stick together through thick and thin, no matter what. They should love you unconditionally and without judgment. Everyone needs someone like that. If you have that with your parents, that's great - but, again, they will grow old and die one day. And, no matter how great your parents are, the relationship with them is not the same as it is with a sibling. Don't be like so many families that still argue about old problems and old hurts twenty years from now. Don't allow parents or grandparents, or other family members, who may show favoritism (shame on them) to break or harm the bond you should have with your siblings. Those people will be gone one day, but the damage you allow them to bring into the relationship you should have with your brothers and/or sisters will live on for years after those people have left this earth. If you think I'm talking to you, then I am. Obviously, you already know there is a problem. Stop. It. Now. If you don't, you will regret it later. If you don't make the effort, it is a reflection on you. And, I assure you, there is no greater comfort in your time of need than to have someone you can turn to who has lived in the same family you have all your life and understands so much without you having to say it. A few years ago, I had a huge, difficult, heart-wrenching life decision to make. I didn't know what I wanted to do. When I asked my oldest brother, he said words I will never forget. He told me he trusted me with my own decision. He said I didn't need anyone to tell me what to do. His belief in my intelligence, his belief in me, brought me peace in a way that is hard to describe. He also told me I had his full support no matter what I chose to do.